Your kitchen and dining room play a starring role in your home, so what better way to get the most out of them than with our versatile Megan Dining Table Set. 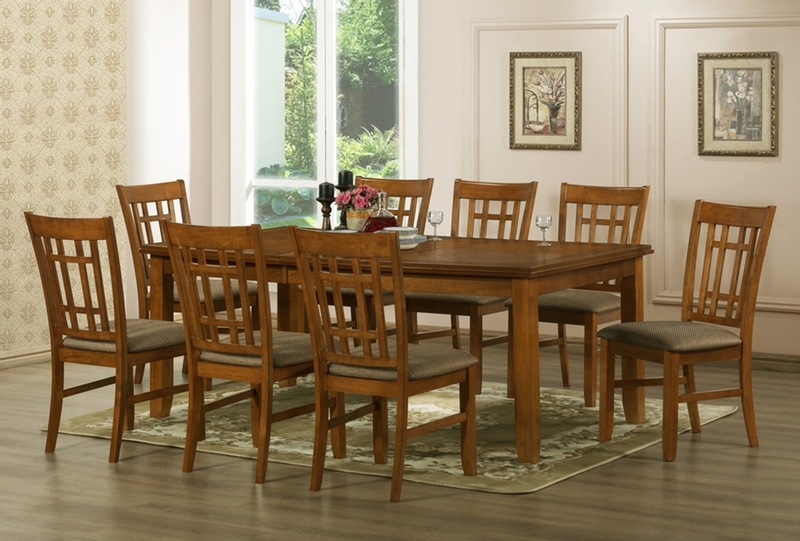 This 7-piece dining room furniture set includes an expandable table with removable leaf that makes entertaining a breeze. Accompanying the table are six beautiful windowpane-back dining chairs, each with a comfortable CAFR foam seat upholstered with multi-hued brown twill fabric. 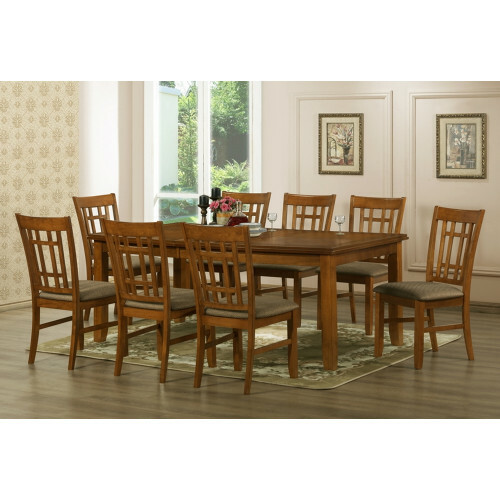 The dining table and dining chairs are made with a combination of solid wood and MDF frames with a dark brown stain. To clean, wipe with a dry cloth and/or spot clean. Made in Malaysia. 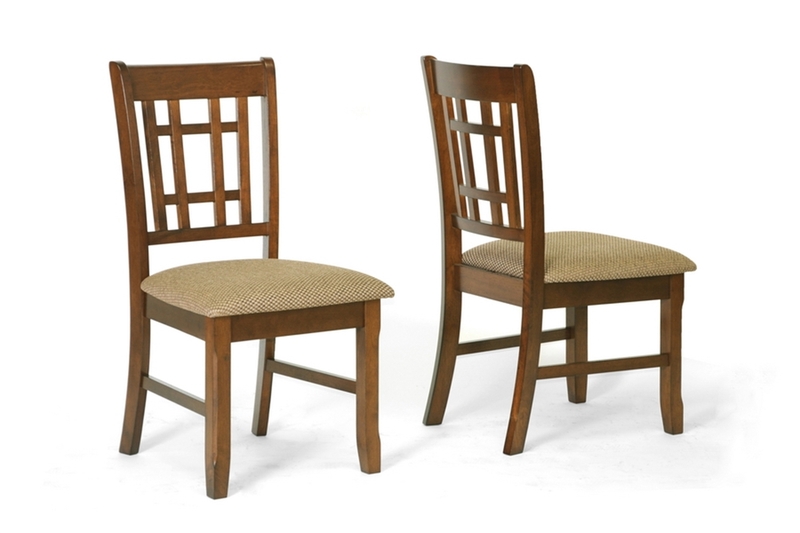 Shown above with 8 Chairs - see options to purchase 2 additional chairs. Shopping for furniture online just got easier! 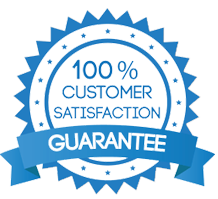 Buying Dining Furniture couldn't be easier or more cost effective! Select the dining set you want - without leaving your home! Our convenient home delivery options include , or which offers room placement and disposal of packing materials to make your furniture purchase as easy and inexpensive as possible. Baxton Studio offers great selections modern, contemporary and traditional designs. Many of their items are Made in the US and all ship quickly. Lively fabrics, comfortable upholstery and quality craftsmanship are all part of the Baxton Studio Collection.